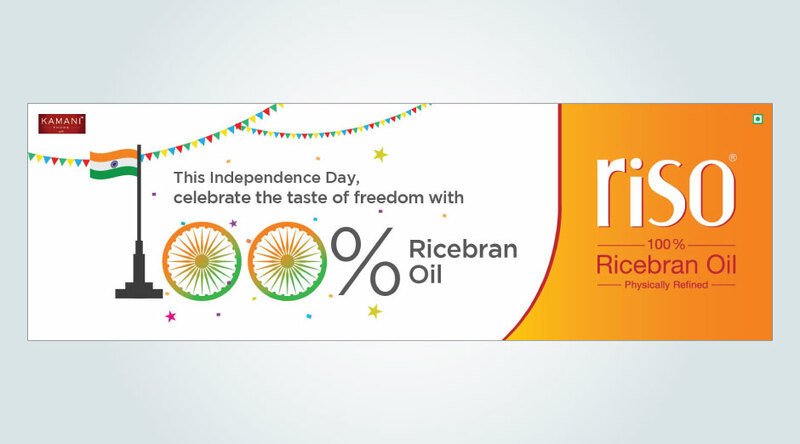 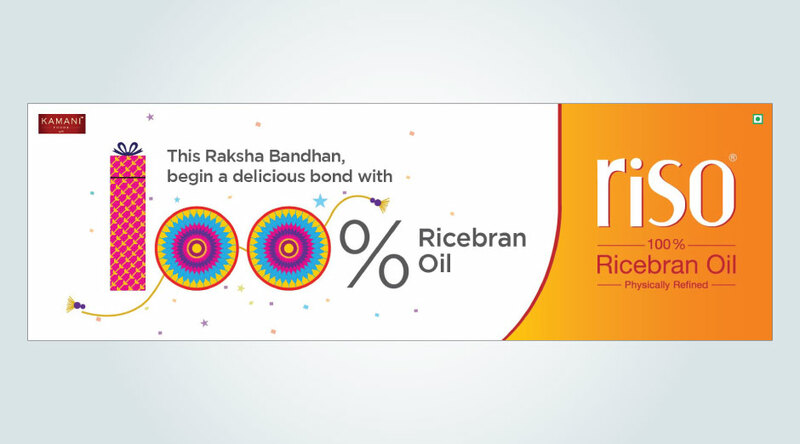 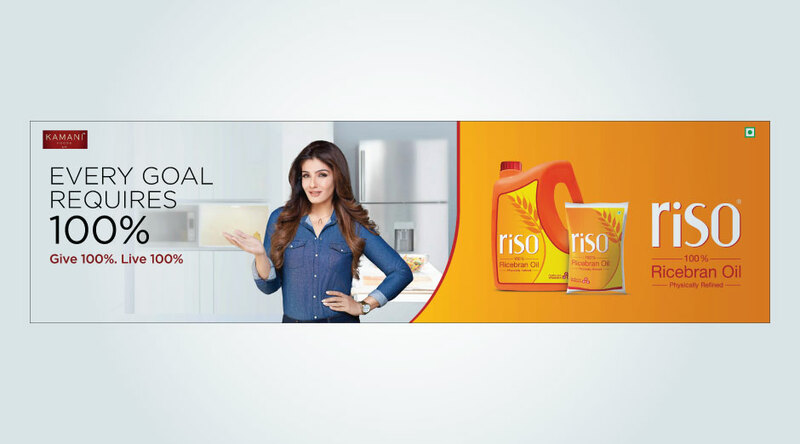 YOUNG was mandated with the task of infusing a renewed communication thought process and cracking an advertising route for Kamani Foods’ flagship brand Riso, Rice Bran Oil. 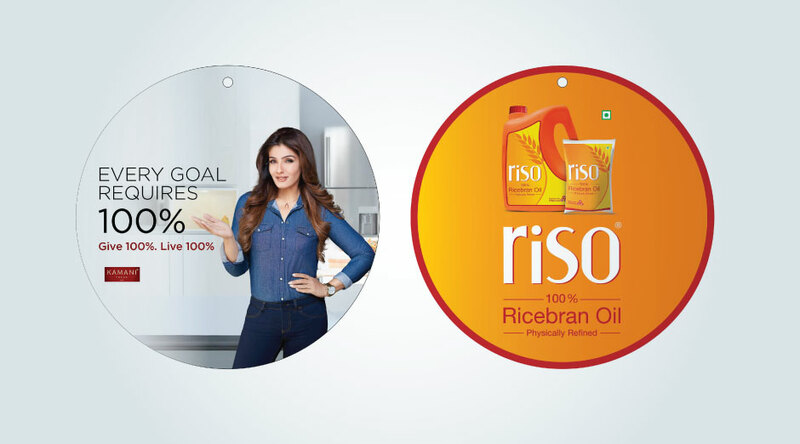 The objective was to establish Riso in the minds of consumers through a compelling communication hook and differentiated positioning. 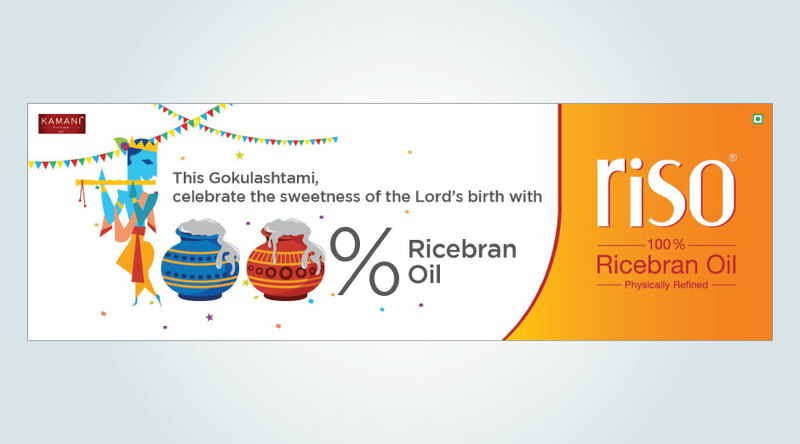 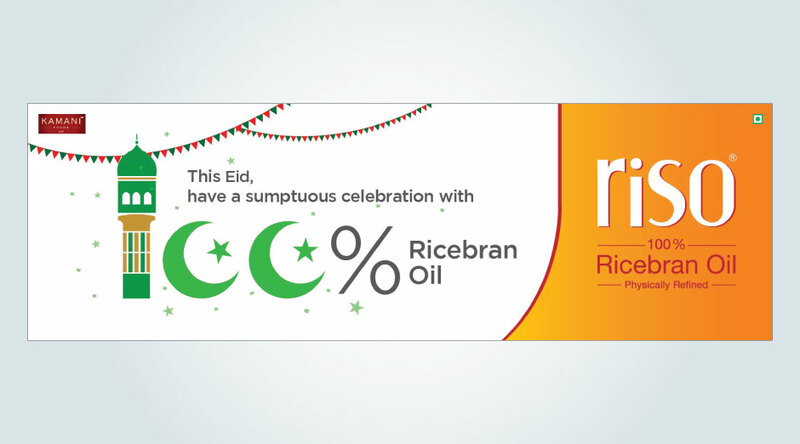 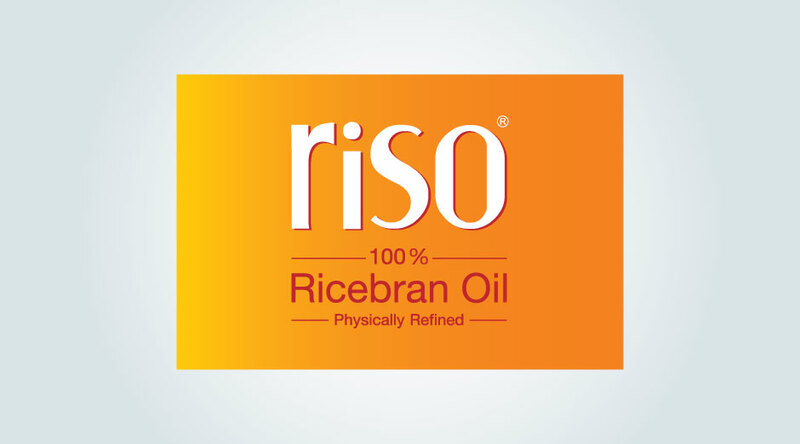 Rice Bran Oil being an already established category there was no visible product attribute or benefit that could be used as a pillar to revolve communication for Riso around. 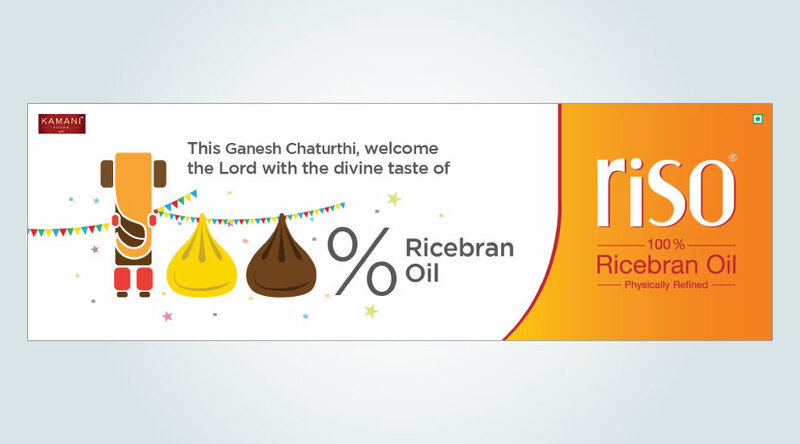 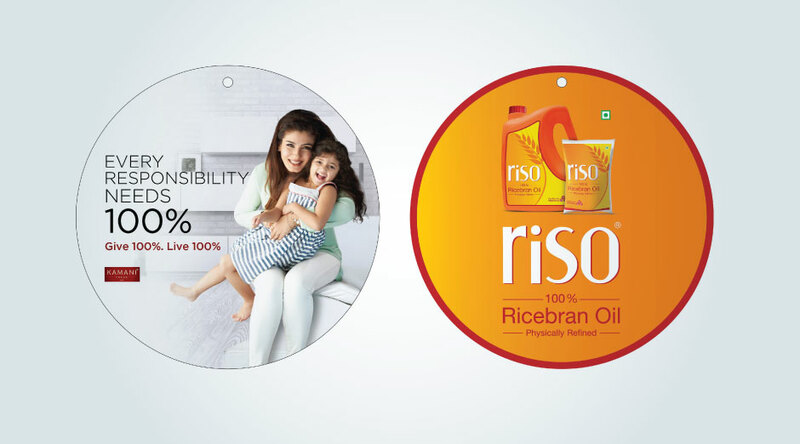 The insight gathering efforts of our account planning team revealed that the key attribute which differentiated Riso from other variants was that it was the only 100% Rice Bran Oil whereas other brands were blended variants. 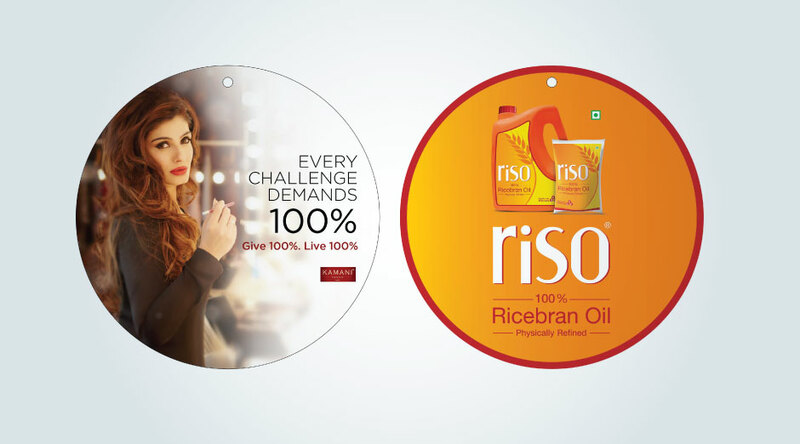 It was decided to use this attribute to build a differentiator and create stickiness in consumers’ minds. 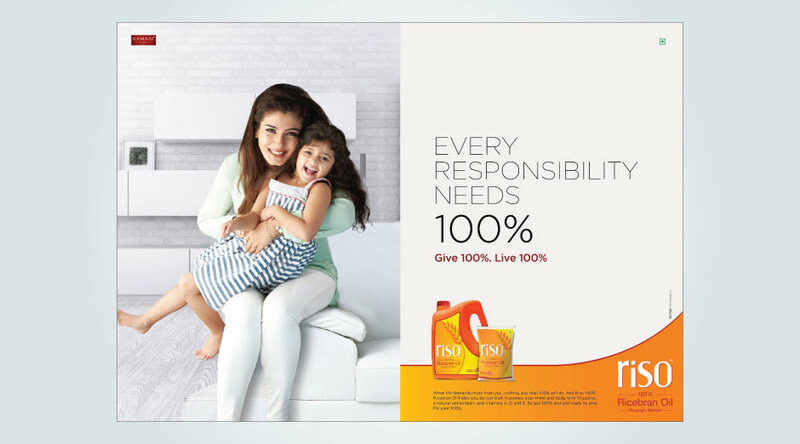 100% as an enabler for 100% achievement in life was the paraphrasing of this attribute into an emotional hook which provided a strong pillar and springboard for the communication route - “Give 100%. 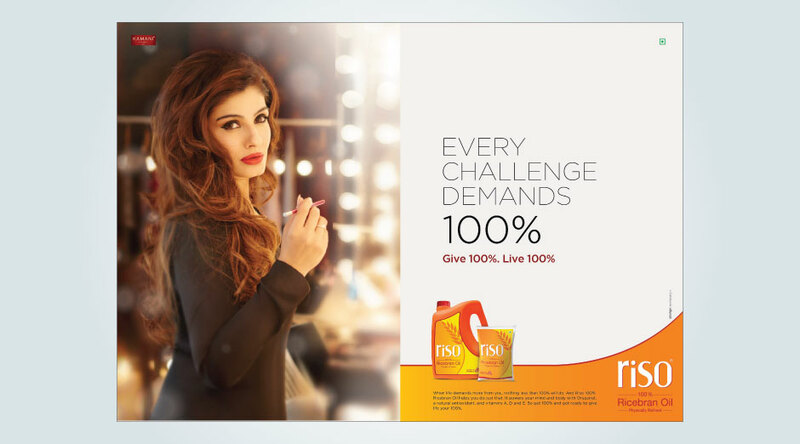 Live 100%”. 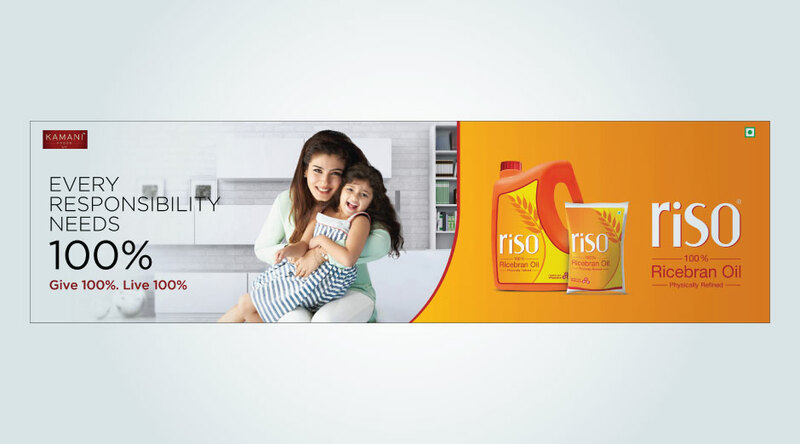 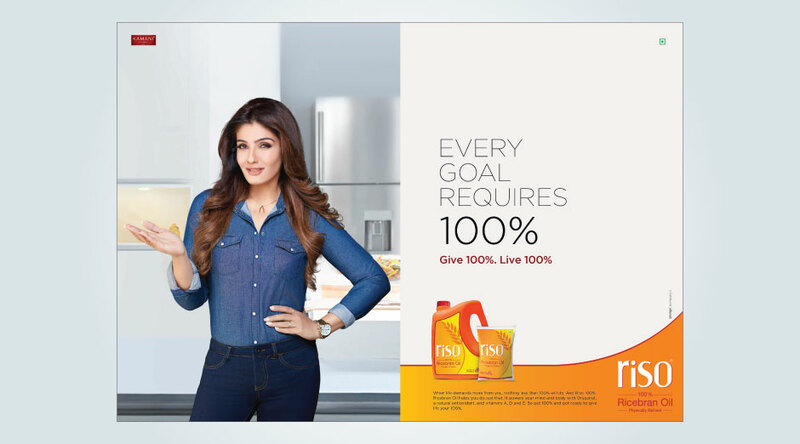 The Brand Communication was unveiled through a TVC and Brand Ads featuring actress Raveena Tandon portraying Riso as an enabler for success and achievement thereby capturing the essence of the “Give 100%. 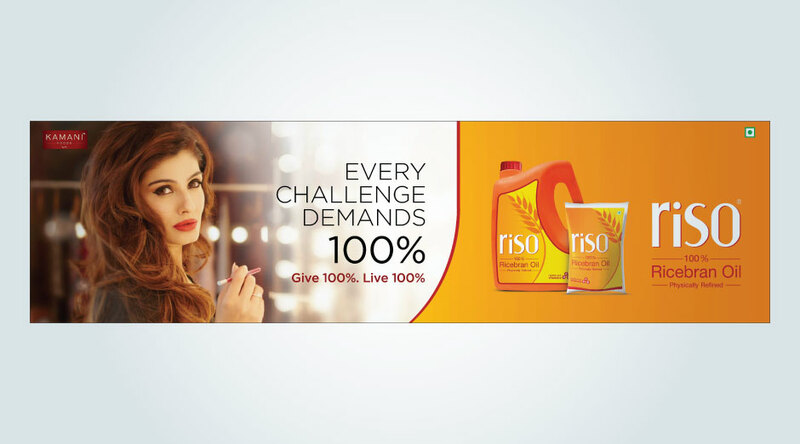 Live 100%” brand positioning. The gamut of the communication was expanded through Tactical Communication innovatively using 100% as a graphic language around important festivals of India. 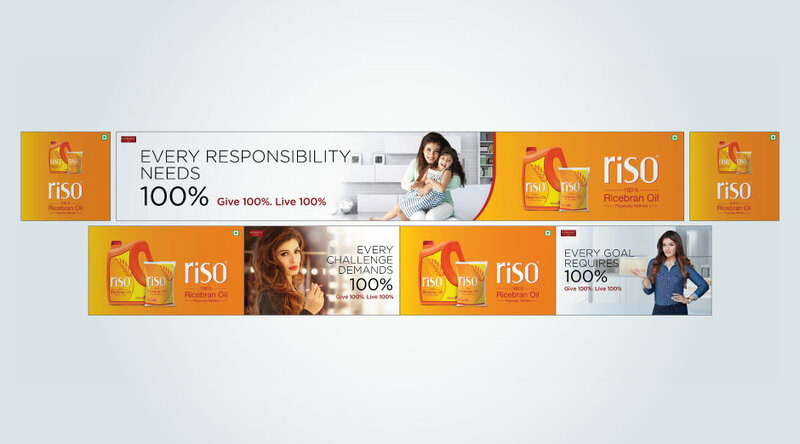 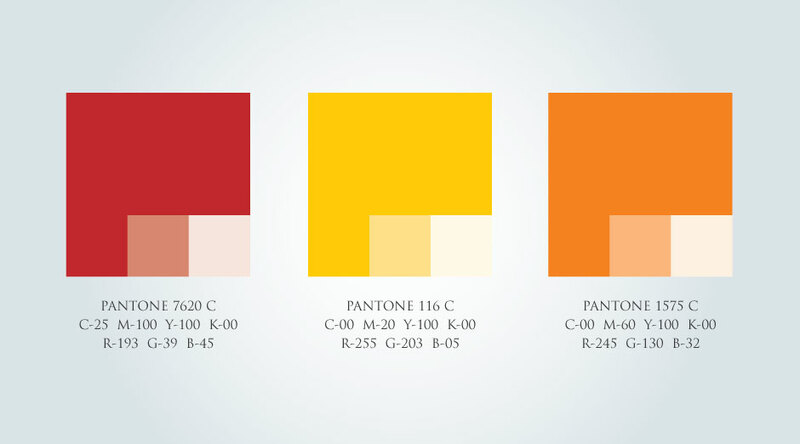 Both the Brand Communication and the Tactical Communication which was exposed across media platforms were successful in creating a distinct differentiator and an immediate recall for Riso in the market.